As my 16th birthday was nearing, I was looking for a summer experience that would be a combine all the things I love – the environment, writing, photography, science and advocacy. I was thrilled that I’ve been accepted into an amazing program and now I need your help to make my dreams come true! Ever since I was a child, I have always been a stickler for keeping the Earth as pure and clean as possible. My science teacher showed us devastating pictures of the impact cause by pollution on what was once some of our most beautiful landscapes. Those pictures are still etched in my brain, to this day. From then on, I brought my lunch in plastic tupperware, persuaded my family and friends to increase their recycling efforts, and convinced my family to cut up the plastic circular wrapping surrounding the tops of soda cans so animals and fish would not get trapped in its noose. 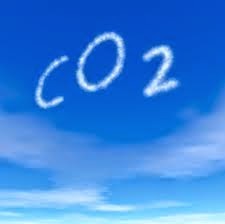 I continue to be passionate about the environment, and am concerned about the carbon footprint I may leave behind. To figure out how I can continue to make strides in improving the environment, I applied to the Environmental Studies Summer Youth Institute (ESSYI) at Hobart and William Smith College. As one of 32 students chosen to participate in ESSYI this summer, I will have the opportunity to work with professors from engineering, law, public health, policy, and photography - in the classroom, in laboratories, and in the field - on a mountain top, a ship, and the waters of Seneca Lake. On the verge of entering my junior year of high school, I am looking towards the future. This program will help be clarify how to combine my love and concern for the environment with my career goals. This opportunity is a once in a lifetime experience which can take me out of my comfort zone, enhance my leadership skills and gain exposure to how people work with the environment through policy, economics, sustainability, research, and the arts/humanities. Thank you for all of your love and support. I am excited to explore and learn more about the world in which we live in, and how I can make it a better place. Today the U.S. Environmental Protection Agency released the Clean Power Plan proposal, which for the first time cuts carbon pollution from existing power plants, the single largest source of carbon pollution in the United States. Today’s proposal will protect public health, move the United States toward a cleaner environment and fight climate change while supplying Americans with reliable and affordable power.